Competition Brief for the Stadtarbeit, Vienna Design Week 2017: The goal of Stadtarbeit is, to support projects dealing with social questions and social cohesion. This can include the analysis of urban and social spaces, the improvement of the coexistence of different community and population groups, or the living conditions of minorities in the city. Project Abstract: "Through PLAY, we aim to neutralize cultures, races and ages, creating a common and shared experience of joy between strangers. 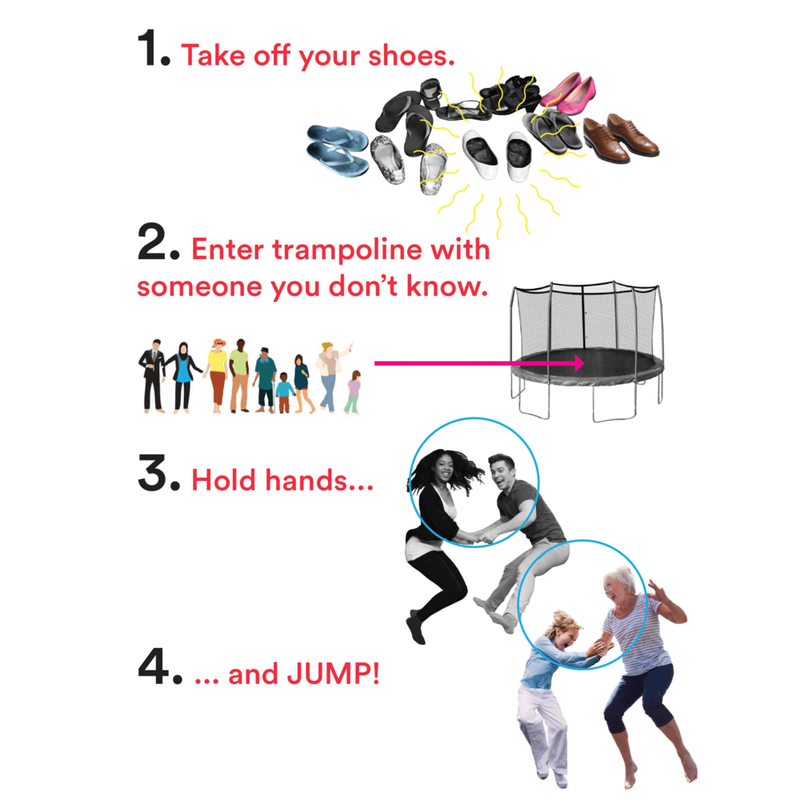 The trampoline, a well-known and relatable object, is used to bring people who do not know each other together in an intimate space. The intrigue and desire to jump encourages people out of their comfort zones, and onto the trampoline with someone new. A set of graphic instructions accompany the installation to encourage meaningful interaction. After the experience, people are asked to ‘leave their mark’ by threading their favourite colour ribbon into the trampoline’s safety net. 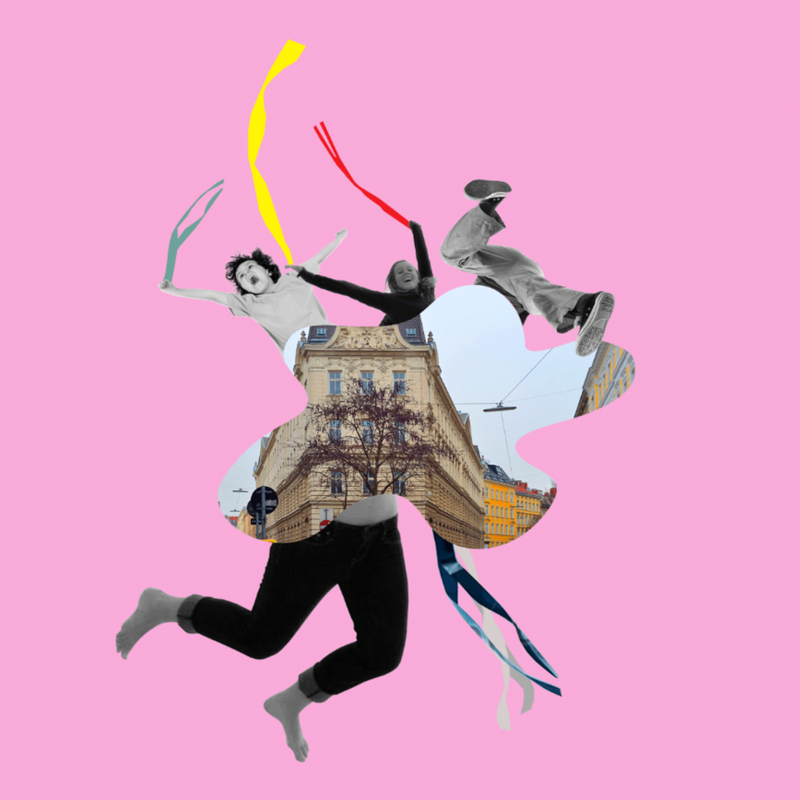 During the Vienna Design Week, the installation will become a tapestry of experiences, colours and people." See the full competition entry here!